Central Asia arrived at a turning point last weekend far removed from the history of Genghis Khan riding out to conquer the world, as it sought peacekeepers from Europe. Russia, which has provided security to the region for the past century and more is stepping aside - unable or unwilling, and possibly incapable of performing that role anymore. The historic decision to bring in European peacekeepers was taken on Saturday at a conclave of statesmen from 56 countries in Almaty, a short distance from the Chinese border. Beijing was not a participant and has yet to speak its mind, but will be watching with raised eyebrows the appearance of "foreign devils on the Silk Road" at a juncture when its own regional profile is deepening. 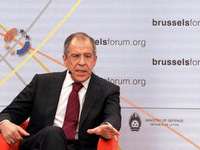 Moscow too is uncharacteristically reserved about the dramaticturn in regional politics in its "near abroad". Does Russia welcome the trespassers or let resent brew, given it cannot do much about their arrival for the present? The fact that the European peacekeepers are arriving in Central Asia against the backdrop of the approaching endgame in Afghanistan cannot go unnoticed, either. From any of these perspectives, the support voiced by the foreign ministers of the Organization for Security and Cooperation in Europe (OSCE) for sending an international police force to Kyrgyzstan following last month's bloody ethnic clashes is a signpost of immense political and diplomatic significance. The OSCE is, technically speaking, responding to a request from the Kyrgyz government. But the idea was originally mooted by the United States and the major European countries. The Almaty conclave has nodded in principle for the dispatch of a small 52-strong contingent to Kyrgyzstan "quickly" and to follow up with another 50 officers soon thereafter, initially on a four-month, extendable assignment in the violence-torn southern Kyrgyz regions of Osh and Jalalabad. A formal decision on the deployment is expected to be taken by the OSCE's permanent council in Vienna on Thursday. Unsurprisingly, the Kyrgyz government, which made futile attempts to seek Russian military intervention to restore order in Osh and Jalalabad, is manifestly enthused by the OSCE decision. The head of the Kyrgyz government, President Roza Otunbayeva said, "We will take this step because stability has not yet been restored to the extent where normal functioning of the two communities [Kyrgyz and Uzbek] can happen." 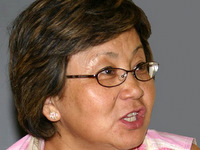 Otunbayeva said the OSCE force would be performing three functions: monitoring, advising and training. She added that there was a serious threat of further destabilization with the melting of the glaciers in the Pamirs, especially in the Batkent region, which is a route for Islamist militants and the drug traffickers from Afghanistan. The president of Kazakhstan, Nurusultan Nazarbayev, who currently chairs the OSCE, also warned the gathering in Almaty, "The fragile stability in Kyrgyzstan could erupt at anytime." Nonetheless, it is unclear how far and how diligently Kazakhstan played a lead role in this OSCE decision. In all probability it buckled under Western pressure. There has been virulent criticism by Western spokesmen in recent weeks that Kazakhstan was lackadaisical in mobilizing an effective OSCE response to the Kyrgyz crisis and was in fact arguing against any international intervention. Western critics targeted Nazarbayev personally for failure to lead the OSCE. They alleged that "Kazakhstan has acted more like Russia's ally in regard to Kyrgyzstan than as the chairman of the OSCE". The pressure tactic finally worked. United States diplomacy also seems to have pitted Uzbekistan against Kazakhstan - two regional rivals vying for leadership - by cozying up to Tashkent and portraying the Uzbek leadership as very cooperative and mature in its response to the Kyrgyz crisis in comparison with Nazarbayev and, therefore, more worthy of its self-styled credentials as the region's key country. Conceivably, Washington may now reciprocate by acceding to Nazarbayev's proposal to host an OSCE summit during his chairmanship in Kazakhstan. The last OSCE summit was held in 1999. The OSCE move brings to the fore the fault lines that have been developing in the Central Asian great game. Neither of the two regional security organizations - the Moscow-led Collective Security Treaty Organization (CSTO) and the Beijing-led Shanghai Cooperation Organization (SCO) - has acquitted itself well in responding to the Kyrgyz crisis. Plainly put, they seem pretenders. The fallout for regional integration has been quite negative. Kyrgyzstan has edged very close to the US; a new proximity has developed between the US and Uzbekistan that may blossom into strategic cooperation; and Kazakhstan has drifted from a lukewarm stance toward overt support vis-a-vis the Western intervention in Kyrgyzstan. That leaves Russia in a bit of a grey zone. Having expressed its inability to intervene in the Kyrgyz crisis and having failed to mobilize an intervention by the CSTO - but all the while crying "wolf" about violent Islamists and the drug mafia threatening regional security - Moscow cannot now frontally oppose the OSCE move. Any such negativism may look churlish. Nor, perhaps, does it want to adopt an obstructionist stance. It is in the best spirit of the ongoing "reset" with the US that Russia desists from stonewalling (even if it harbors reservations) the US's OSCE initiative which Washington is flaunting as a fine example of the US-Russia working relationship aimed at stabilizing Central Asia. What is intriguing is that the US and the European countries are also on a parallel track, robustly leading the call for an international investigation into the ethnic violence in Kyrgyzstan. Russia hasn't spoken its mind on the need of an investigation, whereas the US is insisting on it. French Foreign Minister Bernard Kouchner said after a joint "fact-finding" mission to Osh last week with his German counterpart, "We would like to know who these groups are that provoked these incidents. These incidents and animosities go back a long way, but there were clearly provocations in this case and we want to know about them. So we support this proposal for an international investigative commission." Indeed, there seems to be some "hidden agenda" behind the call for the international investigation. Interestingly, Uzbekistan originally mooted the idea - and Tashkent makes its regional moves only with great deliberation. OSCE foreign ministers endorsed the idea in Almaty. Russian Foreign Minister Sergei Lavrov said that the OSCE's reaction to the Kyrgyz situation showed the organization's ability "to respond quickly to crises. We acknowledge both the prompt action shown by Kazakhstan as OSCE chair, and the fact that the OSCE permanent council has proved its ability to reach a consensus". Kazakhstan, Russia's number one ally in the region, didn't lack enthusiasm. Foreign Minister Kanat Saudabayev made a spirited defense of the OSCE decision to intervene. "The current difficult situation in Kyrgyzstan could have a highly destabilizing effect not only on Central Asia but also far beyond its borders, he said. ''That is why we need a prompt consolidation of international efforts to provide the widest possible cooperation with the Kyrgyz Republic using the full potential and experience of the OSCE." Unlike his counterparts from Germany and France, who were present at Almaty, Lavrov didn't dwell on the substantive issue of how the prospect of an international force other than CSTO assuming a security role in Central Asia is viewed in Moscow. More important, what about the SCO? China is neither a member of the OSCE nor the CSTO. Geopolitical reality is that on the one hand, Kyrgyzstan impacts on Xinjiang's security, while and on the other, the OSCE arriving at China's border region is a leviathan - albeit lethargic as of now - comprising 56 participating states drawn from three continents whose total population is more than a billion people. Clearly, the OSCE needs to reach out to the CSTO and the SCO. If that happens, regional stability will be strengthened. The SCO comprises China, Kazakhstan, Kyrgyzstan, Russia, Tajikistan and Uzbekistan. But we live in a real world. It is unclear which way US thinking is evolving. As Stephen Minikes, a former US ambassador to the OSCE, wrote recently, there is a perfect case of a US-Russia "reset" over the OSCE. Minikes argues: At the time of the OSCE's inception in 1975, the world was bipolar. Today it is multipolar. Russia has become a balance-shifter, not an opponent. The US must nurture this change. When Russia and the US are on the same side, all kinds of breakthroughs are possible. In a bipolar world, it was "us" against "them". Now it is "Western" against "other" values. The US and Russia should be in agreement on as many of those values as possible. However, the US will also be inclined to use the OSCE to reposition itself in Central Asia. The US already finds itself in a far more confident position with regard to the continuance of its air base at Manas in Kyrgyzstan, which was perennially under Russian and Chinese "threat". Again, the strengthening of the Eurasian dimension of the OSCE goes beyond a matter of Western "values". A new narrative is beginning in the nature of an institutional link between the trans-Atlantic community and Central Asia. But then, Chinese, Indian and Persian people also live in the neighborhood of Central Asia. By a curious coincidence, the OSCE conclave took place in Almaty on a day when the company newspaper of China National Petroleum Corporation revealed that a total of 2,009 billion cubic meters (bcm) of Central Asian natural gas has already been pumped to China as of July 15 via the new 2,000-kilometer pipeline from Turkmenistan via Uzbekistan, Kazakhstan to Xinjiang. The OSCE may not take long to realize that the vast Central Asian steppes are not as vacant as they seem to the naked eye and furthermore, for undertaking any serious enterprise in the steppes you need surplus money - and lots of it - which the recession-ridden European and US economies or Russia cannot easily come up with. That said, the OSCE move on Kyrgyzstan is indeed a smart US diplomatic initiative. Its potential is spread over a range of fronts: to revamp the OSCE so that it acquires comparative advantage in conflict prevention and management in Central Asia; to co-opt Russia and to counter the ascendancy of Chinese influence in Central Asia; to develop a comprehensive US policy toward Central Asia which hitherto remained largely transactional; to galvanize greater attention and international support for Afghanistan, an OSCE partner, so as to get that country embedded in the region as a vital hub in a Greater Central Asia, which in turn would incrementally help open the so-called "southern corridor" leading to the Pakistani ports of Karachi and Gwadar that provide Central Asia strategic alternatives to Russia, China and Iran. In sum, the weekend's OSCE decision becomes a key building block of the US's regional policy as it prepares for the post-Afghan war regional security scenario. The attendance of two key US diplomats in the Central Asian region last week for meticulous parallel diplomacy in Almaty and Bishkek - Deputy Secretary of State James Steinberg and the director for Russian and Eurasian Affairs at the US National Security Council, Michael McFaul - underscored the importance Washington attaches to the OSCE decision to underpin Kyrgyzstan's security.